The owners of Carolina Waterworks are combining their vocation with their passion, pledging to donate $25 to a local animal shelter when dog owners purchase a new Safe Haven Systems boat lift. Company president Keith Rogerson and his wife, Linda, are involved in their local Low Country Golden Retriever Rescue group and have fostered more than 200 dogs through the years. One of their first foster golden retrievers, Tripp, is now the star of the Safe Haven marketing campaign, including product literature and upcoming commercials and DVDs. "We feel very strongly about helping abandoned and abused pets," Rogerson said in a statement. "This program is our way of giving back to the community." The donation will be made to the shelter of the dog owner&apos;s choice. To participate, boat lift owners should e-mail or mail a picture of their dog with the lift, along with their name, the dog&apos;s name, location and local group or shelter they wish to support. 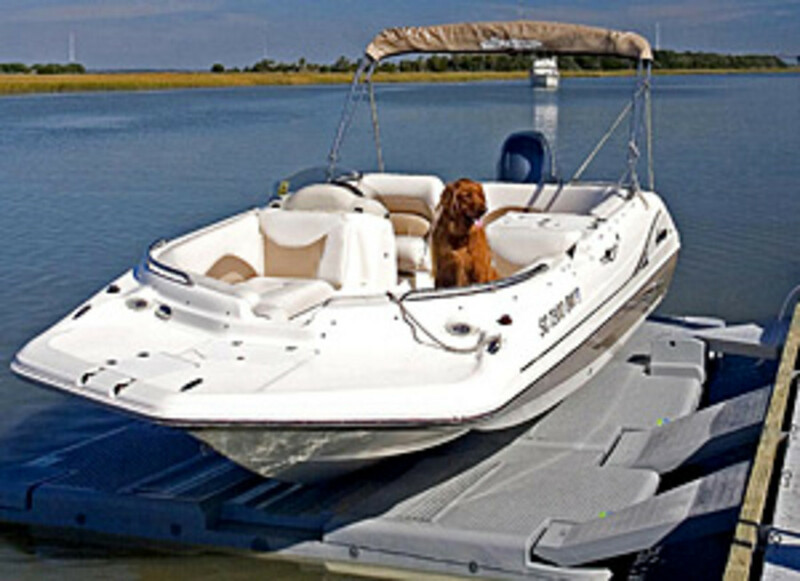 The picture must be with a Safe Haven Systems boat lift that the dog owner purchased. The company plans to showcase the photos on its Web site, which should be fully operational within the month, according to marketing manager Traci Black. "A lot of times, people that are boaters are also animal lovers, and so we decided it would be a great thing to do," said Black. For information, contact Safe Haven Systems by Carolina Waterworks at (877) 734-2836 or e-mail info@carolinawaterworks.com.